The country of just 2.8 million is encased between her two giant neighbors, Russia to the north and China to the south. For most of the twentieth century Mongolia was, like many Eastern European states, part of the Soviet empire. Then in 1990 the withdrawal of the Soviet military and of Russia’s economic support ended decades of communist government, and with it control by Moscow. It also plunged the country into food shortages and economic collapse. Today Mongolia presents a curious picture. In a region of autocracies it is still a democracy two decades on from the 1990 communist collapse. Despite sitting on vast quantities of untapped mineral wealth it has not succumbed to the ‘resource curse’ yet. Mongolia was also one of the world’s fastest growing economies until recent times, with high growth rates reported in 2012 and 2013. Driven by a number of massive mining projects, foreign direct investment has been transforming its post-communist economy. Yet, still suspicious of China and on a whole fiercely nationalistic, relations between Mongolia’s government and Western and Chinese firms there have often been rowdy; it refuses to play the part of an anti-Russian satellite in any other state’s ‘zone.’ This makes the striking absence of Russia from Mongolia’s contemporary economic development even more conspicuous, and it reflects Russia’s diminishing ability to influence events in its former sphere – President Putin’s ongoing violent reaction to Kiev’s westwards drift notwithstanding. The Russian leader has laid down several markers that there are geographical limits to Western and Chinese influence, from backing old Soviet ally Syria (where Russia has a strategic naval base) to inviting the new North Korean dictator Kim Jong-un to travel to Moscow for his first trip overseas as leader. North Korea’s previously cozy ties with China have come under strain by Kim Jong-un’s erratic leadership style, including the execution of his moderately pro-Chinese uncle last year which disturbed Beijing. Mr. Putin has built his recent foreign policy around the paternalistic notion that Russia has special ties and interests in the former Soviet bloc that preclude the presence of other security or trading choices. It was the possibility that Ukraine would join the EU’s Eastern Partnership (EaP) that first sparked Moscow’s intervention there, not that Ukraine was drawing closer to NATO. The instrument Putin wants to use as a political barrier against the creeping rise of Chinese economic influence, or the dreaded Western soft power, is the Eurasian Economic Union (EEC). The stated goal of that new union was that a single economic area would be created for the free flow of capital, services, and labor in the post-Soviet space (but with a single financial market scheduled for 2025). Yet when the EEC came into force in January 2015, it had only three official members – Russia, Kazakhstan and Belarus. The post-revolutionary Ukrainian government refused to join, which led straight to Russian backing for separatists in the eastern Donbas region. The gap between the EEC’s smaller states’ economic focus, and the Kremlin view that the EEC is useful as a political tool of influence was highlighted last autumn. Moscow introduced import sanctions against Western goods in retaliation for Western sanctions placed on Russia over its behavior in Ukraine. Before the EEC even officially started functioning, rows between the three member states had begun about the re-exporting of banned products to Russia, and the limitation of goods destined for Kazakhstan routed across Russian territory. At roughly the same time a symbolic shift passed almost unnoticed in Mongolia when the Mongolian parliament voted in October 2014 to adopt a rail gauge compatible with China’s for the first time, to create a special 240-kilometer track from the Tavan Tolgoi coal basin to the Chinese border. 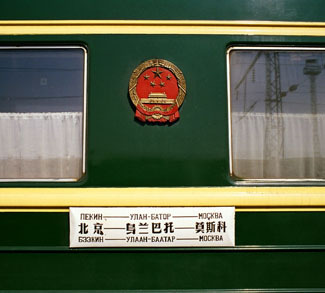 In the last century, when Mongolia’s leaders looked westwards for political and economic support, the Soviet Union helped build Mongolia’s network and a twist of history means that Russia’s railway gauges are different from the global standard used by China. China’s rise as the world’s largest energy consumer however has helped consign Russia’s Mongolian legacy to history. Coal is Mongolia’s second biggest export, and China is its largest customer. The new gauge will reduce the cost of transporting coal to China by a third, from $6 a ton to $4 a ton, once the line is completed in late 2016. Mongolia is not rushing blindly into economic dependency upon Beijing. Suspicion of China’s state-owned mining companies is strong, and even the proposal to approve the new track took years to pass. Ulaanbaatar has long cultivated friendly ties with Western governments as a counter-balance to China’s embrace. Vast deposits of gold and copper at the new Oyu Tolgoi mines, which could amount to up to a third of national GDP when fully operational, are jointly owned by a British-Australian mining group and the Mongolian government. They also account for almost all of Mongolia’s foreign direct investment to date. By contrast Russian influence has drastically declined in Mongolia’s economic calculations in the space of a generation. The problem for Putin is that while he can still act as a spoiler to other countries’ ambitions, he has been unable to articulate beyond bullying what vision Russia offers Eurasian states instead. There is now talk of Sino-Russian gas pipelines and railways crossing Mongolia, but they will be on Chinese terms. China’s leader Xin Jinpeng has made the development of a ‘Silk Road’ economic belt crossing Central Asia a national priority. He has recently announced a $40 billion budget for the new Silk Road Fund and promises further massive financial investments from the Chinese-dominated Asian Infrastructure Investment Bank. This begs the question: as Chinese and Western companies and institutions increasingly seek to sign post-Soviet states up as partners and members, is Mongolia, not Ukraine, the future of Eurasia?